Laufen pro is a comprehensive bathroom range, which offers the ideal solution for every spatial situation and requirement and also reflects the building values of the current generation. Designed by Swiss designer Peter Wirz, this versatile range is ideal for home or commercial use. Laufen WC's and bidets in the Pro series are suitable for all applications, the stylish design of this WC makes it ideal for any modern or contemporary bathroom. 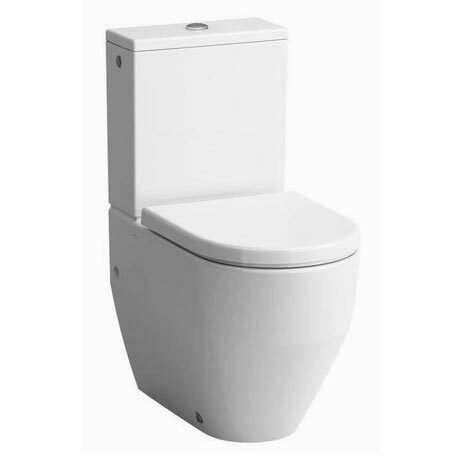 It features a water saving dual flush system of 6/3 litres and comes complete with an antibacterial duroplast seat with chrome hinges. 5 year guarantee. Seat guaranteed for 1 year. Additional image for illustration purposes.